Dr. Tom Pousti and his San Diego Cosmetic Surgery staff are dedicated to providing you with the finest possible medical services. 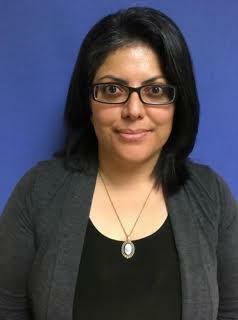 I'm Daisy, and I have been a part of the Pousti team as a patient coordinator for 15 awesome years. During my free time I enjoy spending time with my kids and family. My special interest are fitness and personal growth. I feel very fortunate that during the years in this practice, I have met amazing people that have shared their story with me. I look forward to helping many more patients through their journey! Hello! 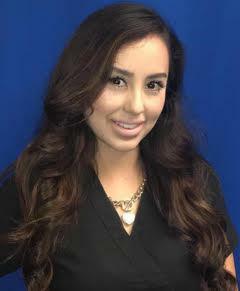 My name is Helen, I am a Front Office Manager at Pousti Plastic Surgery. I have been a part of the Pousti team for over 9 years! I love helping patients in any way I can through their journey in achieving their goals. When you don’t see me in the office I am probably hanging out with my Son creating memories where we can! Hello! My name is Dilan (“D”)! I work in the back with patients and in the front office as well. I am in charge of our internet work and Social Media! 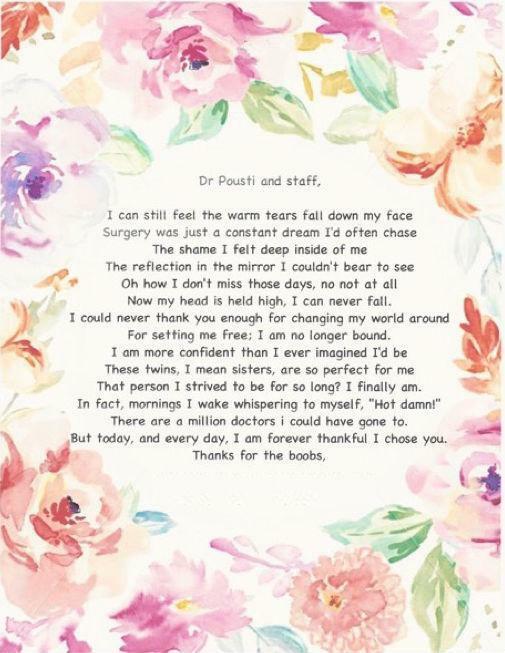 I have been a part of the Pousti office for over 3 years now and have been so pleased with everyone I work with and our patients. On my extra time I like to hike and be a tourist in my own city. Hello! 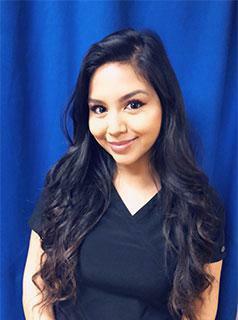 I’m Vanessa, I work in the back with the wonderful Pousti Plastic Surgery patients. I’ve been a part of Pousti plastic Surgery for 17 years. I enjoy working and getting to know all our patient. Helping them from their initial consultation to seeing them years out from surgery is always rewarding. On my free time I enjoy being with my kids and cheering them on during their soccer games! Hi, my name is Emily! 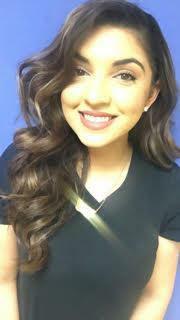 I’m the new medical assistant here at Pousti Plastic Surgery! I’m super excited to work with all our awesome patients. On my free time, I like to spend time with my son and husband and go on little adventures! Hello! 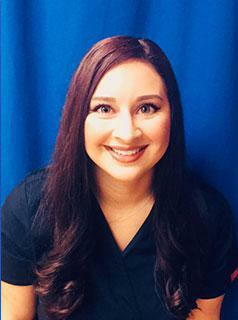 My name is Heather and I am a new addition to the Pousti team. I look forward to working with and getting to know all our patients while doing what I can to help achieve their goals. In my spare time I coach a competition cheer team, and spend time with my family. A complete range of cosmetic, plastic,and reconstructive surgical procedures are available in a state-of-the-art surgical facility. Dr. Pousti and our office staff keep up to date with the most advanced procedures today. There are certain steps you should take before your consultation and after your consultation with San Diego Plastic Surgeon, Dr. Tom Pousti. I’m celebrating my one year breast augmentation/lift and my 8 week PO tummy tuck. After 5 kids my body wasn’t what it used to be, i had my first child when I was 17, and my 5th at 30. After my last baby i did everything i could to get my body back, but no matter how much i exercised and watched my diet I couldn’t improve my breasts or get rid of my pouch! 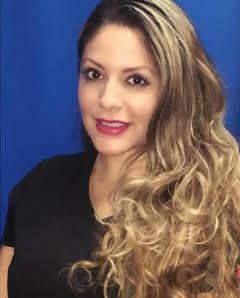 after several consultations over the years with various PS in the OC area I had almost given up on my dream of a mommy makeover – until E found you! My BA and lift surpassed all my expectations and i couldn’t be happier! After such a positive experience with you and your staff I decided to complete my makeover and I am very pleased with my tummy tuck, I still can’t get over how flat my tummy is and I know the end result will be amazing! Working in the medical field I know the importance of a good office staff, and I want you to know that your staff is first class! I love each one of them! Dr.Pousti you are an amazing, gifted surgeon, you always make time for me and make me feel like I’m your only patient! I want to thank you so much for taking such good care of me this past year and for making my dreams come true! Dr. Tom Pousti performs all surgical procedures and provides your postoperative care with the support of a highly trained staff for surgical assistance, nursing care, anesthesia and recovery. How should you choose your Plastic Surgeon? Many of our patients are from the San Diego area, but we desire any person interested to be able to meet with Dr. Pousti and discuss the procedures that they are interested in. Dr. Pousti’s San Diego office also serves the needs of Cosmetic Surgery patients both locally and from around the world. When you meet Dr. Pousti for the first time, he will carefully examine you and go over all aspects of the surgery. He will ask you about your expectations, and by using an extensive library of “before” and “after” photographs of previous patients, will explain what can be done. He will encourage you to speak with patients who have undergone the same procedure you are considering. ASK QUESTIONS! Before you can make an informed decision to undergo surgery, you must feel comfortable and confident. If you and the doctor agree that surgery will benefit you, you can begin a plan for the operation.